I am now safe back home. My latest voyage have been a wonderful experience, the memorys of it will stay with me forever and brighten my days. Consequently I now will try to get some money to start a new ocean crossing project. From Martinique I flow to Paris to the boatshow. Martine a French girl who sailed with me in the 4,25 meter long Anna 1968 was at the Orly airport to meet me. She lived very close to the boatshow which was convienient. I enjoyed Paris for a weak, bought many books. Saterday 9 Dec I flew to or tried to flew to Göteborg. Getting close there where much turbulence. That did not affect me much having been bounced across the Atlantic in a small boat. The other passangers reaction was different. Some started to cry womit and faint. The shaking was definitly violent. A few meters from the ground the airplane was wobbling to much to my liking and evidently also to the pilots becouse he took of climed the sky agian and finally set us down in Malmö a three houers bus ride from Göteborg which turned into a five houers drive becouse of the strong winds. In Göteborg the high bridges were closed and tunnels vere floded, but finally I met my freind Captain Thomas my adept I sailed to Florida with when he was 19 in 2007. We have now finished the manuscript about that voyage, now ready to edit. 0046 490 2 15 30. In the evening am relaxed and have time to ansver your questions politely. Short calls can be made anytime to my mobile phone 0046 70 620 05 50. 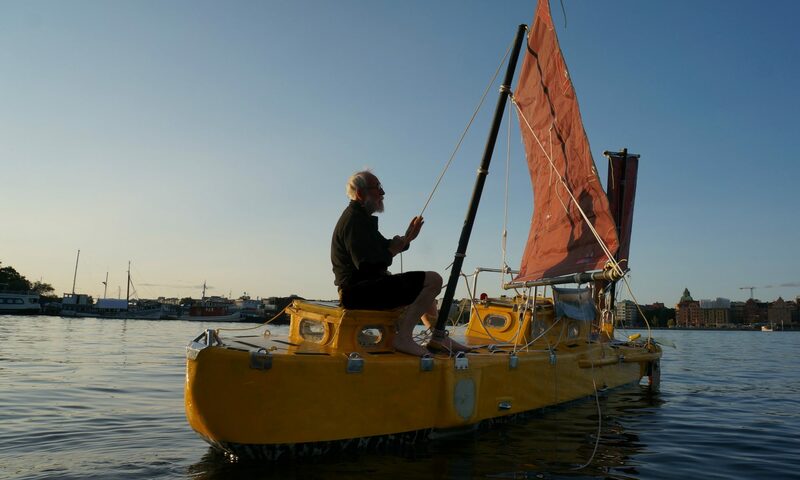 Persons having a positive interest in the design, building and voyaging in small boats are wellcome to call. Societys and companys willing to engage me for a lecture are also wellcome to call. The two last days has been not much sleep. Reason is, me now in Paris at the boatshow, the boat in a container on its way to Sweden. It has not been easy organise the transport. I do not speak as good French as English. Despite this and with an internet which was mostly broken i managed to send the boat away to Sweden and fly out in less than one weak. The lorrydriver with the container with my boat dropped me at the Martinique airport yesterday noon. I was able to get a flight right away. This morning I landed in Paris having not got to much sleep on the plane. The night before I sleapt in fits. It was more than 30 degreas worm in the boat and I had to keap the hatches closed becouse of the musquitos which had already started to give me new blisters. Also several phonecalls had to be done during the night back to Sweaden to get things organised. In a weak I hope to be back in Sweden wraiting to get money for a new boat. I do not have electric autopilot or windvane. Most of my voyages have been done without them. What I have done is to lock the rudder in a fixed position and balance the sails. It worked well for me on many previus boats. 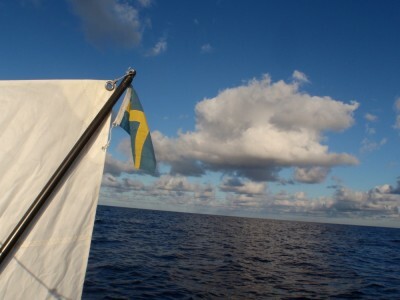 On my voyage to Florida 2007 with a young adept on a 27 feet production boat a Swedish Vega we used a for me new system, “sheet to tiller” it gives more possibilities becoause you got feedback from the sails. Its a cheap and reliable system a few strings and flexible rubber and blocks is all you need plus the knowledge to make it work. When I left Kinsale Irland there was headwinds for the first days. It only took me a few secounds to find the rudder position. From previus experience I know that its very delicate a question of centimeters or even millimeters on the rudderlines. Still it only took me a few secounds to find . 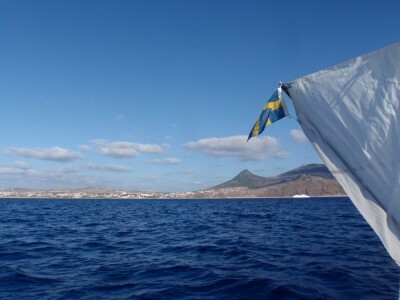 Later when I got following winds I used the sheet to tiller system down to Porto Santo. My experience from Duga and Bris and other boats have told me that the further back the center of gravity is, the easier she sails downwind steering herself with the rudder locked. In Porto Santo I added 15 liters of water I moved my 10 kilo Spade anchor back also at sea I mowed 2 of my six 14 kilos lead weights to their aft position. I knew that statistically I would get much downwind sailing in the trades. 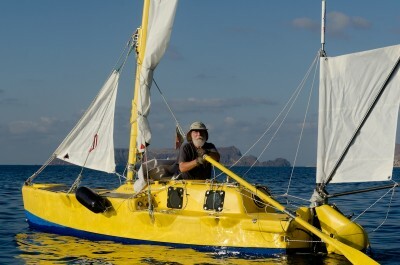 From Porto Santo I sailed all the way to Martinique using only locked rudder, no sheet to tiller. I do not know why this works, but works it does. Maybee it creates more resistance turbulence in the aft end of the boat. Anywhy the boat went like on tracks for nearly seven weeks. What is also very interesting is that the periods of extremely weak winds when the sea surface looked like oil when the wind was so weak it would not have made an unshielded candel fickle she still keept going steadily downwind. 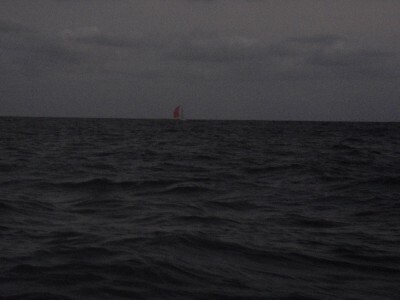 In such light wind sails on bigger boats start to flog and flap not so on Yrvind all was nice quite and enjoyable. I think sailflapping is a scale effect, taller mast gives more perific speeds. Finally I am now in Martinique. 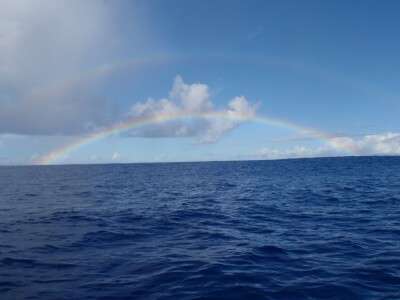 My latest ocean crossing has been an fantastique experience. After a few weeks the civilisation lets go of its grip an you are back in nature as you were meant to bee. I did not recive any information from the outside world. No radio or anything. I am very tired and it is not so easy here as in Poerto Santo to get access to internet. A special antenna is required. I hope I can afford to send the boat back to Sweden. My two main occupation has been reeding and designing a new boat. I am very pleased with my drawings. 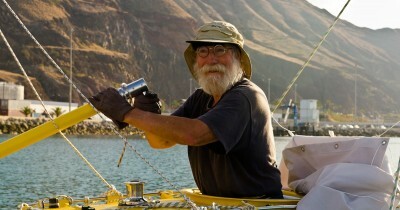 Follow this link and you find more pictures from Yrvinds depature from Porto Santo. Thank you Sylvain and Anne on the boat Tuva. Pics here! Tomorrow still looks good for departure. Locally the weather looks good and further south there is no hurricanes at the moment although of course as an amateur yacht designer it would be a very interesting experience to live through one, especially a violent one. The marina is paid. Preparations are completed. In fact the preparation for a small boats ocean passage only takes a few houers. Watch the weather, scrubb the bottom, go the the supermarket. I did carry home my food. The village is not many kilometers away. By getting a little each day I did not even have to take a taxi like the other yachtsmen. That also gave me a bit excercise strengtning my arms and legs. Whats more? Fuel? No I do not need it, not for propulsion, nor for cooking. Have I forgotten something? I hope not becouse this ocean passage is a one way street for me. I will not be able to to tack back against the trade wind. What I have with me have to be sufficient. So good by. I hope to be back in about two months time. In the meantime I hope my SPOT will work so that you can follow my track across the mighty big ocean. Many of the sailors who arrive here from Portugal complain about seasickness. Some of them even give upp and take a airplane to the Caribian where they join the boat. There is also much talk about seasick pills. Now I think that the sailors should show some compassion for their pour body. It is used to be on land where they nowadays walk on flat even surfaces. Then suddenly the owner decides without giving their body time to adapt that now they are going to put him on a mowing boat. The body of course have spent years finding the fine balance needed for walking upright using all his senses to do a good job. Obviusly he needs some time when suddenly conflicting information from different senses has to be processed in the brain. 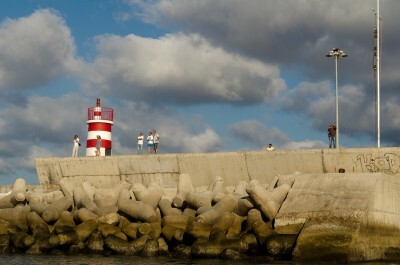 For most people the trip from Portugal to here only takes a few days. That is not enough. At least a weak is needed for most people. To really be at one with the sea I think at least a month is needed. Then the sailors body can do a good work of providing his owner with the desired functions and everone will be happy. This is one reason why I like long passages and why I do not fraction a good long haul into many misirable small jumps. Luckily I do not suffer from seasickness but there are many more things to consider like that it takes time to shift protein building new muscles and learning to behave in the marine enviroment.